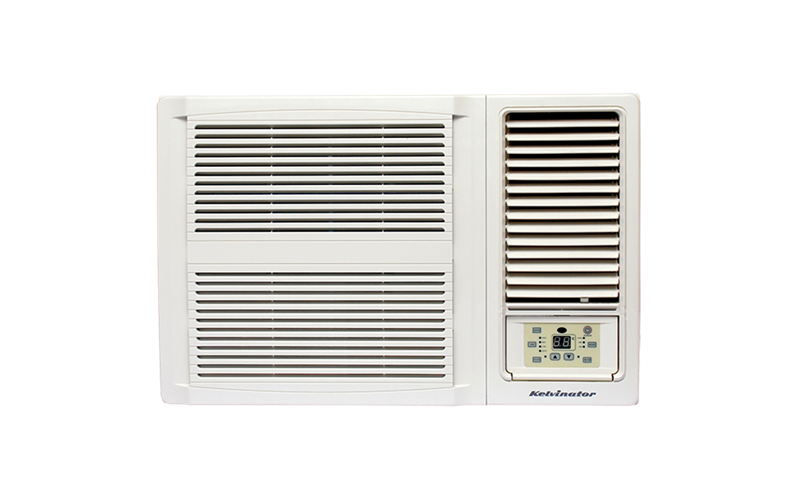 Window Wall Cooling Only Air Conditioner 3.9kW is rated 4.8 out of 5 by 40. Rated 5 out of 5 by Rex7423 from Will keep you cool in very hot days. It cools the room very quickly with this unit. It's quiet for its size and very easy to install. If you want to stay cool in summer, this the product to get. Rated 4 out of 5 by Michael123 from Great system, fast cooling. I bought this almost a month ago and has been a great unit which isn't too noisy, though you may need to turn up the TV a notch or two and it does cool the room within 20-25 minutes. I love to auto on and auto off features, great for setting to cool a room half hour before you get home or turn off during the night so you can get to sleep. Rated 4 out of 5 by Donz15 from Great unit. Happy with this purchase. Does a great job cooling. Rated 5 out of 5 by Stace2412 from Wall mounted Airconditioner We purchased the Kelvinator wall mounted air conditioner to replace our old one which had become very noisy in recent uses. We were so impressed with the over the phone service provided by David before we even took delivery of the unit. The whole process was seamless and we were informed of updated delivery times several times during delivery day via text messages. The unit arrived within the specified timeframe and it is beautiful and cool, as well as lovely and quiet, as described. This is our second purchase from Winning Appliances and I will continue to recommend them to my friends.